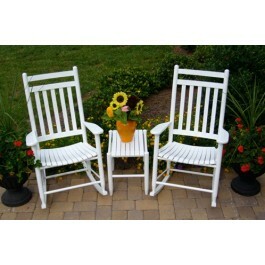 What will you get with this Classic Slat Back Rocking Chair Set? One rocking chair for you, one rocker for a loved one, and one beautiful wooden side table to hold your drinks, books, or centerpieces. 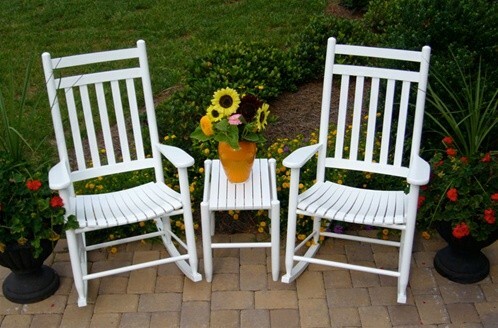 This pretty rocking chair set makes a fine addition to any indoor or outdoor room. Best of all, this set doesn't come with any headaches. 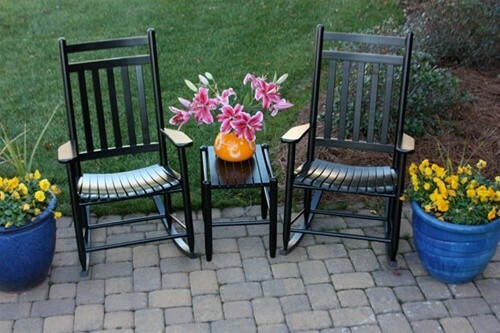 Each piece comes right to your doorstep fully assembled, save for the runners on the bottom of the rockers. Affix the runners and get ready for some classic relaxation. Each durable set piece is strong enough to become a future hierloom piece thanks to their extremely durable North American Ash or North American Hickory hardwood construction. Each piece was also put together using a glue-free construction process in which multiple pressure clamps manipulate precisely machined components in order to manipulate the swelling and expansion of interlocking joints, essentially using the natural qualities of the wood to create truly durable furniture. Enjoy your set in either black or white. You can also purchase an unfinished version of the set so you can personalize it any way you want to. 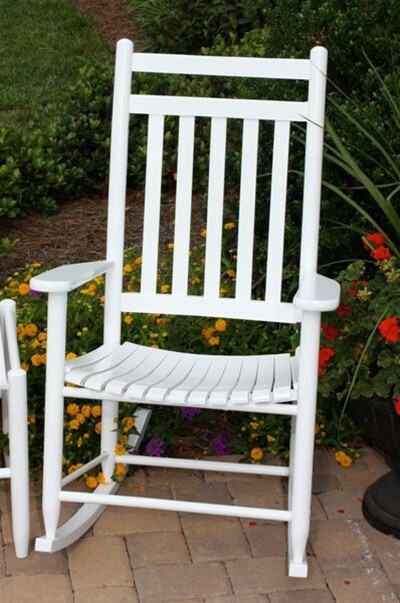 Get ready to have awesome conversations with the people who matter most--that's what rocking chairs are all about. 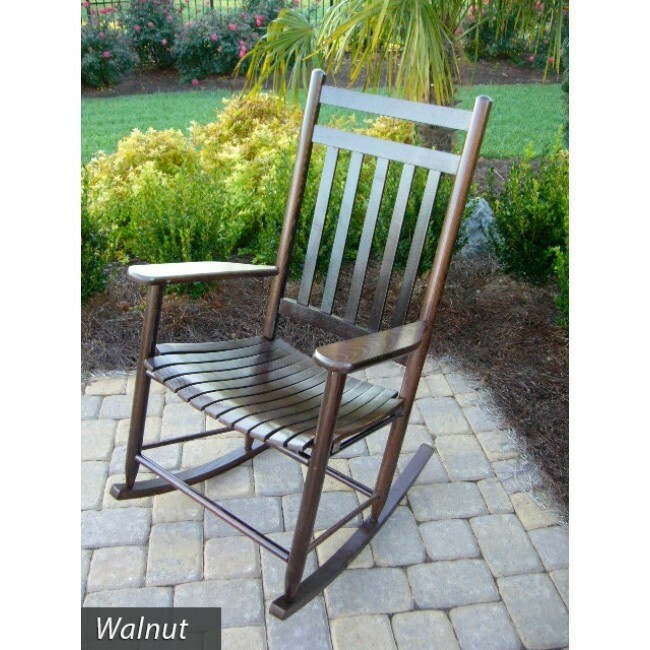 Order your slat backed rocking chair set today.